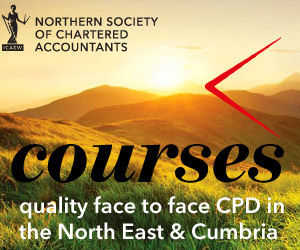 The Northern Society of Chartered Accountants (NorSCA) is led by a President and supported by a Deputy President, Vice President, Honorary Treasurer, Honorary Secretary and other members of the General Committee. The Office Holders and members of the General Committee are ICAEW members who undertake their role in a voluntary capacity to support their membership body. They receive no remuneration for the time that they contribute to NorSCA or ICAEW activities. Office Holders serve for a period of one year until the next Annual General Meeting of the society. Details of the current Office Holders are shown below. Alan is Armstrong Watson’s elected Senior Partner and a member of the management board. He joined the firm from university and has been with the firm ever since. He acts for a wide range of owner managed businesses, professional partnerships, charities and individuals..
Keith became Deputy President of Northern Society in May 2018. Keith has an extensive business support network and until his retirement from ICAEW in December 2017 he was ICAEW Director, Northern & Scotland where his aim was to help grow the local economy knowing this will help members, wherever they work. Chris is a past Chairman of the Tyne & Wear Society of Chartered Accountants and is President of NCASS. Karen is a Senior Manager at the Homes and Communities Agency specialising in financial due diligence and risk management. She qualified at Jennings Johnson in Sunderland where she worked as a Corporate Recovery Manager. Karen is a past Chairman of the Tyne & Wear Society of Chartered Accountants and a former Chairman and President of NCASS.